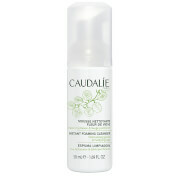 Hydrate the skin whilst cleansing with the super-sized Alpha-H Balancing Cleanser with Aloe Vera. Enriched with soothing ingredients, skin will be left nourished and beautifully cleansed. Alpha-H Balancing Cleanser with Aloe Vera is a gentle creamy cleanser that removes all traces of impurities and make up without drying the skin. Aloe vera and vitamin E balance out the complexion to leave it bright and toned. Massage in to damp skin morning and night. Aloe Vera hydrates and smoothes. Vitamin E antioxidant, brightens & protects.